All aboard! This week, The Feast is riding the rails with an icon of American dining, the Harvey House. Founded by Fred Harvey in the 1870s, Harvey Houses marked the first attempt to provide standardized high quality dining experiences to passengers travelling the American West by rail. 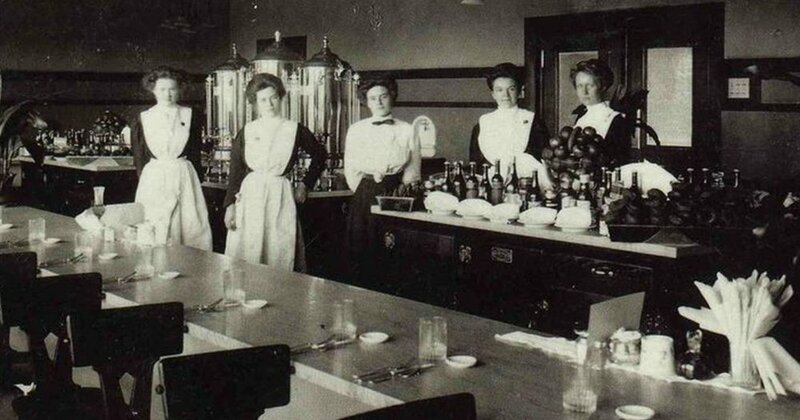 We'll also take a look at Harvey's army of waitresses, the Harvey Girls, who served the best steak and coffee from Leavenworth to Los Angeles. Find out how Fred Harvey got his start in railroad restaurants and how this chain of eating houses (as well as eventual hotels) became a fixture of American life in the 19th and 20th century, found everywhere from the bottom of the Grand Canyon to Disneyland!